Currently, biomass energy plays a vital role in meeting the needs of energy, especially in developing countries. Biomass pellets are clean, green, economical and environmentally friendly, and they have the potential to meet the additional energy demands of urban and industrial sectors. Biomass pellets are made of various kinds of biomass powders of rice husks, straw, sawdust, wood chips, wood shavings, peanut shells and grass, and they are made by the pellet press machine. Pellet press machine generally has two types: flat die type and ring die type. Flat die type is for the small scale pellets production, while the ring die type is for the large scale. No matter which type of pellet press machine is used, the well prepared biomass powders should contain proper amount of moisture. If there is no pellet coming out of the machine, or the pellets’ surface is rough, the reason may lies in that the moisture content of the materials is too high. If the moisture content is too low, the pellets will be very soft and easy to break. Besides, the materials need to be added in time to increase the pellets yield and to reduce the wear of die and rollers. 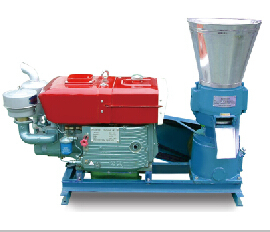 For home and individual use, we strongly recommend flat die pellet mill, which enjoys small size, light weight, easy operation and maintenance, low power consumption, high quality and high efficency. 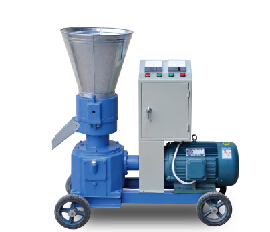 We are a leading Chinese manufacturer and exporter of pellet press machines. Our pellet mills have all won CE and ISO9000 certifications. Our pellet press machines can be customized based on your specific requirements. We offer not only high quality pellet press machines, but also free skilled technical guidance, as well as satisfactory after sales service! You can absolutely rely on our pellet press machines.